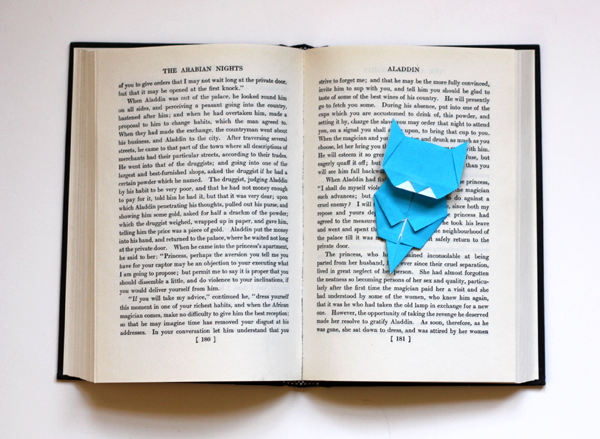 On You Tube I found video instructions for making a cat bookmark designed by Jo Nakashima. So I tried it out. A couple of the steps were tricky, but I managed to prevail! I think this kitty is funny. He looks like he tried to cross the road at the wrong moment. I have some bookmarks like this little guy, except they have tiny magnets on them to help them stay put. Pretty ingenious. I made one of this designer's 3D kittens, too, which does not look like roadkill. It's pretty cute. But it's a little mooshed, so I'll make a couple better ones before I show you. I have a kitty I'm ready to moosh, too, if she won't leave my hibiscus alone! LOL JJ and Mum, y'all are so funny! NOOOOO, Mum! Don't moosh Josie! As I am currently typing this with a kitty who insists on sitting across my arm while I type I know where Grandma G is coming from! Great bookmark though, looking forward to trying it! Well, I have to admit I don't get too worked up about crumpled paper. Ok, that's too cute, I'm going to have to make a couple! Wicked cute. This would be a great little project for my girls and their friends. I see these decorated with glitter in my future! awesome! I'm going to make one right now!! O my goodness!Im so happy to have come across this!My son loves anything origami, so Im sure he would love to try this! Squeee!! How adorable. 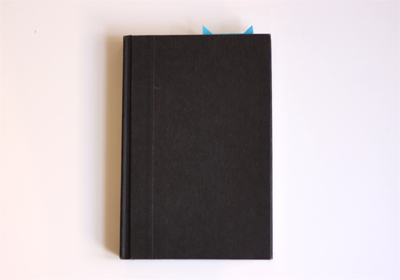 I miss bookmarks now that I have a kindle. Woow cute kitty, I'll try it, seriously.. ^_^ thanks for sharing... i love your blog... very inspiring... two thumbs up!!! If you don't understand the objection, you truly haven't grasped the concept that "craft evokes images" as representational art. It disturbs me that you find references to road kill as humor, or using your craft to evoke the image of a dead animal. If I am not mistaken, didn't you profess Christ as your savior once? I don't think Christ would ever approve of leaving nasty Anonymous posts on someone's blog. "I found it a little insensitive" would have been enough. Uber cute!!! Also appreciate the joke, it does look like a comedy squished cat. I also think it's completely cowardly to leave anonymous mean posts! If you are that outraged by the blog post, simply close the little tab at the top of your browser. so cute!! I have to show my kid this! To cute! Will have to try making these. I might kill the origami zen look by adding some googley eyes. 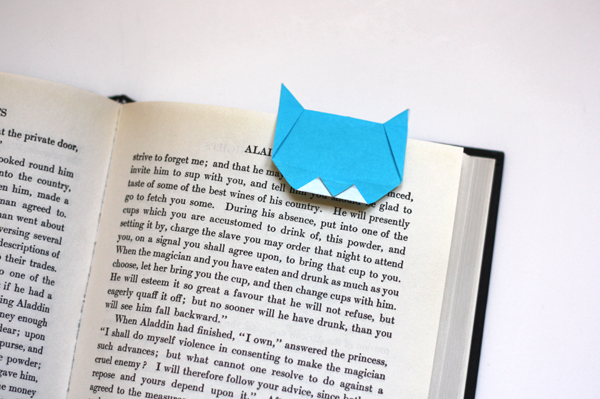 Sooo cute - have to make these. Thanks for sharing! I don't get anonymous posts. If you have something to say come right out and say it. Don't hide behind anonymity. Some people simply has nothing better to do. Did someone really get upset about a reference to roadkill? That's hilarious. Took me an hour to make one of these kitties that didn't look like it had been run over. Lovely little design, thanks. Oh this is just too sweet! I need to try making these :) Thanks for sharing and I LOVE your blog! I just had to pin that! So stinking cute. I'd better go make myself ten or so! Thank you for sharing - I´ve tried it, too. My version isn´t as good as yours, but I like my cat bookmark really much. just saw this post tagged on the mutts page. I have 15 kitties at home that need regular mooshing as they are in, on, and under everything! Really enjoyable! I've to try it with my little Mark that loves all kind of game. This kitty is lovely - but not so easy to do. I tried it with my Kids - it took a loooong time..